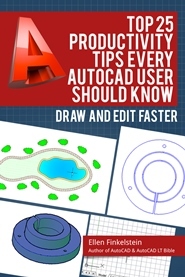 This tutorial is unusual, because you don’t need AutoCAD to do it. You draw full size in AutoCAD. But before long, you may need to set the scale of text, dimensions, and other objects that need to be the right size after you plot on a sheet of paper. In a large drawing, such as a drawing of a house, you obviously need to scale down to fit it on a sheet of paper. For small objects, you might scale up. You can add text and dimensions in paper space and avoid scaling. You can also use annotative text and dimensions, but you still need to choose a scale. Let’s say you have a drawing of a house. The drawing is 175 feet wide by 120 feet high. Some typical scales for an architectural drawing of a house in the United States are 1/4″=1′ and 1/8″=1′. Calculate the plotted size of the width at 1/4″=1′. 175′ x 1/4 = 43-1/4″. Calculate the plotted size of the height at the same scale. 120′ x 1/4 = 30″. Test this size on a size D sheet (34″x22″). It’s too small. Test it on a size E sheet (44″x34″). It would just fit, but allowing for a title block and margin would make it too tight. Recalculate the width at 1/8″=1′. 175′ x 1/8 = 21-7/8″. Recalculate the height at 1/8″=1′. 120′ x 1/8 = 15″. A size C sheet (22″x17″) is close but you might have problems with the margins. If you can move some objects in the drawing to make it slightly narrower, you’ll do fine. Otherwise, you’ll need a size D sheet. Sometimes, you need the scale factor, which is just how many times bigger the full size is compared to the plotted size. For a 1/8″=1′ scale. multiply both sides of the equation by 8 to get 1″=8′. Then convert to inches. 8″ x 12 = 96. What about DIMSCALE? I use this command to enlarge or reduce all of the properties of dimensions so that they are always relative to the printed size of the titleblock. In this way, there is no calculation involved (other than the ratio of what the current dimscale is and what i want the new value to be)and no scale to worry about. It all comes down to presentation and legibility. I haven’t searched your site completely so i don’t know if you have covered this topic but it is worth looking into. Can you give this example in metric units . Pl. Send me the details of scale while plotting, I am working both in Meter as well as architectural units also. 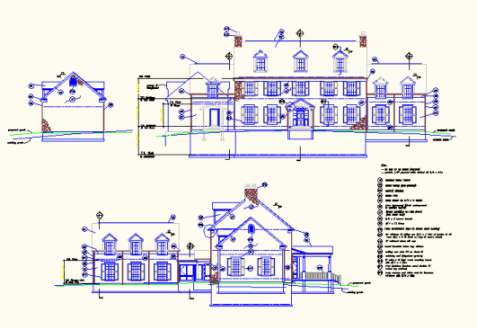 Why don’t you draw your house in model space and annotate and dimension it in paperspace. Dear sir i need scale book for text,dimlines etc i’m totally confuse and some times get angry just because when i try to plot my drawing, i don’t know why my text become too small pls i need help! sir send me scale size for text and etc in feet unit. This may sound elementary but how do you choose a sheet size for a particular object. I am drawing a house..should I use an “A sheet”? I am drawing a 6 penny nail..should I use a “E sheet”? 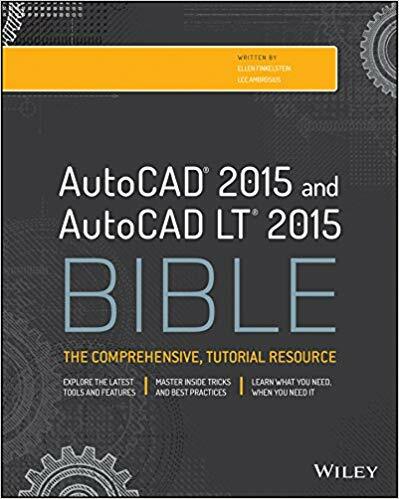 i Where in the CAD BIBLE is this explained? Please send me how to use scale command for home drawing like I draw any pic for scale 1:20, So tell me how to use this type of scale. i need to print it in a 7×1.07 metre sheet.how should i do it ?